Achieving 20% renewable energy in Australia by 2020 isn’t impossible – in fact, South Australia has already blown past that goal courtesy of wind energy primarily, with a helping hand from residential solar panel installations. According to a report from EnergyQuest, wind power derived electricity generation grew by 24% (300 GWh) in the March quarter, contributing just over 3% of east coast generation; with the highest level occurring in South Australia (942 GWh), representing 31% of the State’s grid generation. “In South Australia wind appears to be the new baseload,” says EnergyQuest Chief Executive Dr Graeme Bethune. The report notes the overall drop in traditional forms of grid power generation in Australia during the March quarter was also in part due to the growth in home solar power systems. EnergyQuest estimates that Solar PV generated 476 GWh on the east coast in the March quarter, representing 0.9% of east coast generation. The biggest contributing state was New South Wales where solar panels generated 139 GWh of clean electricity. The highest percentage contribution to a state was again in South Australia – 3.5%. According to the Australian Energy Market Operator’s Rooftop PV Information Paper, PV solar installations have grown dramatically since 2008, with 1450 MW now installed in the NEM (National Electricity Market). EnergyQuest also confirms something that has been widely claimed by supporters of renewable energy – wind and solar power push down wholesale electricity prices due to what is known as the Merit Order Effect. The company reports lower demand for grid supplied electricity and the growth of wind and solar reduced wholesale electricity prices during the first quarter a whopping 30%-60% to $25-30/MWh in all eastern states except Tasmania. 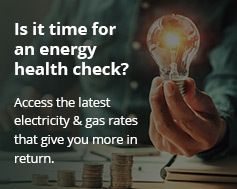 However, EnergyQuest points out retail electricity prices jumped in all eastern capital cities during first quarter of this year, ranging from a 5.4% increase in Melbourne at the low end to 17.9% in Adelaide.